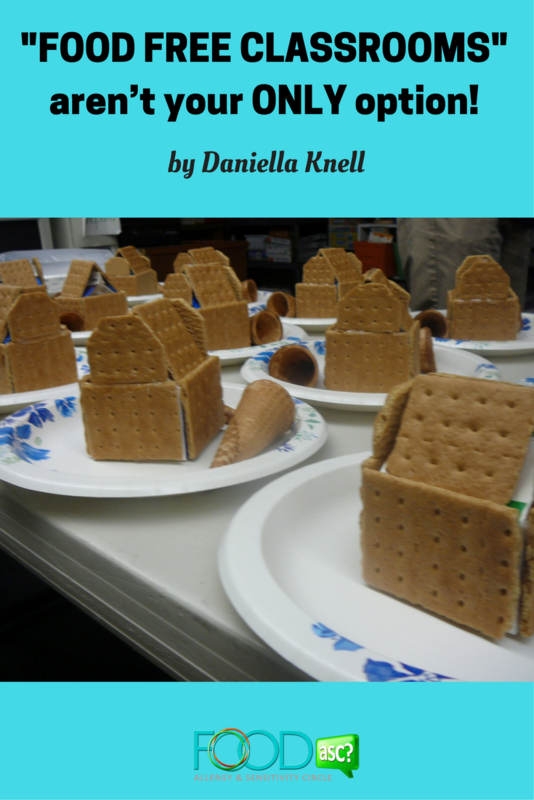 Guest post by Daniella Knell of Smart Allergy~Friendly Education. “FOOD FREE CLASSROOMS” aren’t your ONLY option! Tips for creating a learning environment where Food Allergies, Food AND Celebrations party together! Is it possible to have food allergies, food and celebrations ALL residing in one classroom? With a combination of open communication, pre-emptive planning AND a dash of expected worry – NOT only is it possible, it can also be FUN. I blame it on Mrs. Jensen, a kindergarten teacher who loves baking. She had a long-standing history of bringing food projects into the classroom including tasty ‘Ghosts in the Graveyard’ for Halloween, apple pies for Thanksgiving and gingerbread houses for Christmas. You can imagine the dilemma the teacher and I had knowing my multi-allergic (dairy- free, egg-free and totally nut-free) kids would be one of her students during different academic years. Mrs. Jenson was sad she may have to discontinue her much loved traditions. On the other hand, I wanted to keep my kids safe. We discussed EVERY baking event in advance and set up SAFE working areas for all kids.  I looked over the ingredient lists and found substitutes for EVERY unsafe food item.  We excluded anaphylactic allergens from the classroom.  I volunteered to be classroom mom and be present during EVERY event.  EVERY kid was included and EVERY kid had fun! From years of working with teachers like Mrs. Jensen, I have found there are two key areas I focus on which help to create a more positive working relationship with teachers. They are open communication and pre-planning. Take time to talk with the teachers. A teacher’s preparedness and ability to manage food allergies in a classroom has NOTHING to do with years teaching. Discuss the Teacher’s Expectations – How have they handled food allergies in their classroom in year’s past? What has worked? What hasn’t? Do they allow food in the classrooms? Do they want food bans? What are their expectations of you and your child? 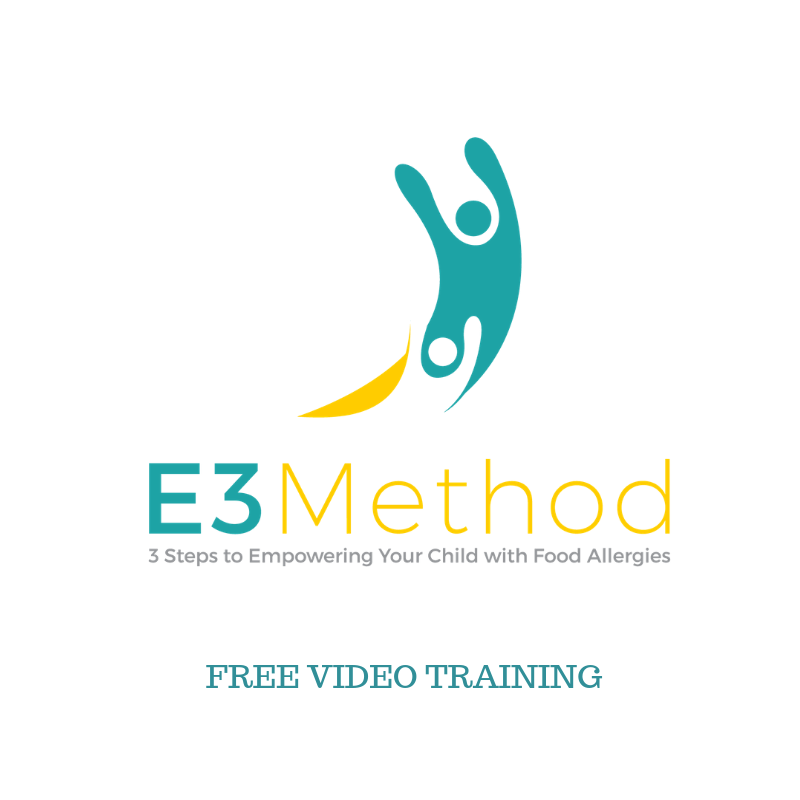 How will they communicate managing food allergies in your classroom with the other parents? This will vary depending on age. Discuss Yearlong Classroom Activities Which May Include Food – Will food be a part of birthday parties, holiday celebrations, or science experiments? Everyone needs to plan ahead. Request proposed recipes and start thinking about safe ingredient alternatives. Discuss YOUR Expectations –Do you want a FOOD FREE classroom? Would you like to be a “homeroom parent”? Are you able to assist with parties if you CAN’T be the homeroom parent? Are you willing to put together a list of “SAFE” items for your child which can be distributed to ALL families? Discuss Student’s Expectations – Would your child prefer a FOOD FREE classroom? Is this an option? Does he or she want a SAFE eating area? Maybe they feel confident enough that they NO longer want a SAFE area designated for them. Allowing your kids SAY in how things are handled creates empowerment versus embarrassment. Prepare Student Binder –The beginning of the school year is the perfect time to share your binder which is a tangible resource to give teachers when discussing your child’s food allergies. I believe this is a necessity at ALL grade levels, especially for kids with anaphylactic allergies. Providing a binder drives home, to the teachers, the seriousness of YOUR child’s reactions. Include a list of allergens and your child’s reaction to them, your FAAP (food allergyaction plan) AND allergy reference material. Share Alternatives – If teachers want to have parties or classroom celebrations, this is when your education comes in handy. There are ALWAYS alternatives, people just don’t where to begin. Dairy replacements? Egg replacements? Safe candies? Have your list ready to share. Remember, NO ONE wants to be the cause of your child having an allergic reaction. 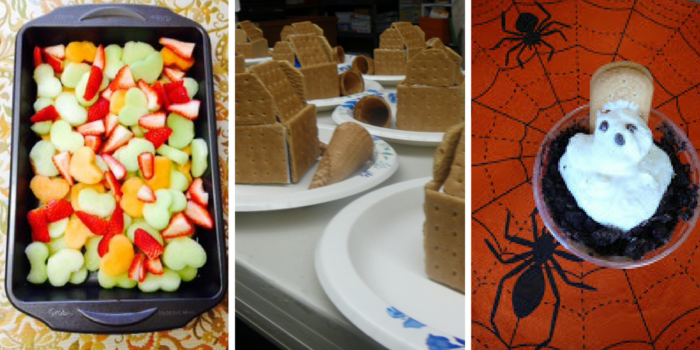 Have a party and celebrate – My kids LOVE a good classroom party! Why not have a party and show off the tasty alternatives YOUR kids enjoy?! We always enjoy when others say, “ Wow! This tastes really good!” We really do eat the same foods – just with different ingredients. Create Educational Opportunities – Depending on YOUR child’s age, there are endless ways to educate their classmates and teachers. Read books. Provide coloring pages and/or create crossword puzzles, word searches and activity pages. Watch videos. Bring in a puppet to share with the younger students. Use educational resources available on websites such as FAACT and FARE to initiate discussions. Younger food allergy kids are thrilled to meet older food allergy kids who are successfully navigating school challenges and the older kids make wonderful mentors to the younger ones. I know our family’s approach is not for everyone, but it has worked for us. Attending a private school we have not had the benefit of utilizing 504 plans. At the same time, we have not needed that resource. Since that pivotal year, I have realized that having a “food free” classroom was not necessary for us. They definitely have their place, however, I don’t believe they are always practical, especially when managing kids with multiple allergies. 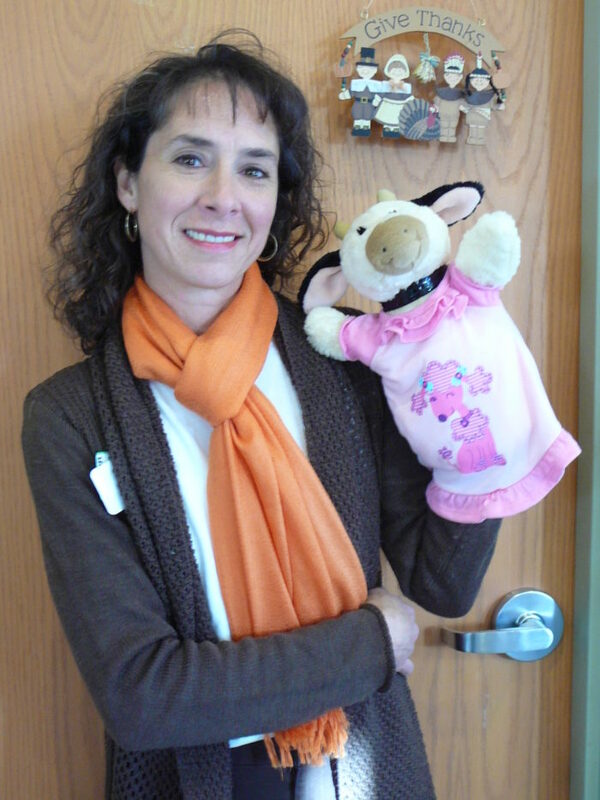 Daniella Knell is the owner of Smart Allergy~Friendly Education. She’s passionate about inspiring kids and adults to live their lives with food allergies without constant fear. 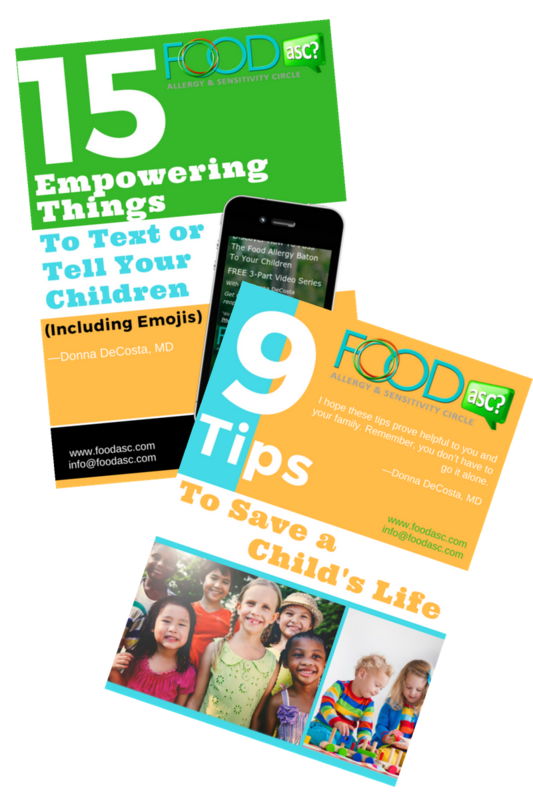 She believes that education and knowing the resources around you are the keys to navigating your food allergy journey safely. 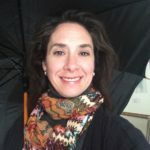 As a mom of two with six of the top 8 allergies, she understands the challenges of managing and traveling with life threatening food allergies. Whether in her Boise community, as an ambassador for SunButter or on a plane where she works as a flight attendant, you can find her publicly advocating for greater allergy awareness and education. 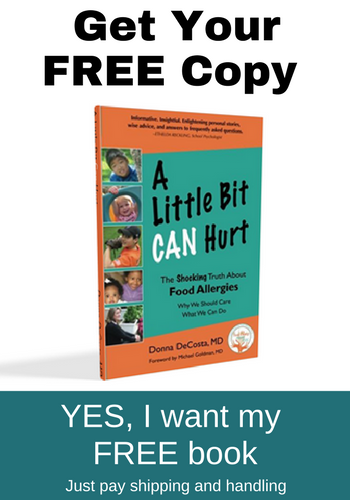 You can follow Daniella’s latest product and resource finds at Smart Allergy~Friendly Education, Facebook, Linked In , Twitter or Pinterest.